Arrow “Confessions” Preview Images: Roy’s Back! 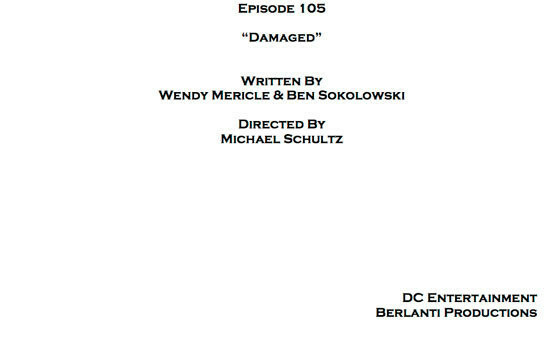 GreenArrowTV has gotten official confirmation that the fifth episode of Arrow is called “Damaged.” No further details are out yet, though when they are, you can find them at the GreenArrowTV Spoilers Page. We do have a treat, however! 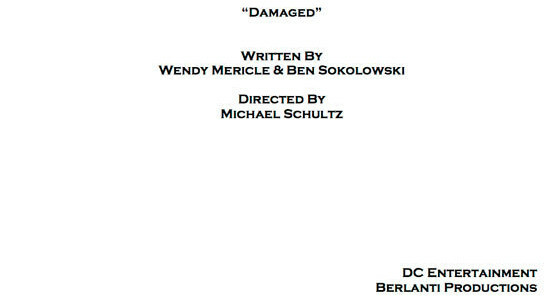 Here’s the cover page for the script for episode 5, which reveals that Wendy Mericle and Ben Sokolowski wrote this one. It will be directed by Michael Schultz. Some of his previous directing credits include Drop Dead Diva, Brothers & Sisters, Eli Stone, Everwood, and Jack & Bobby. Check it out. 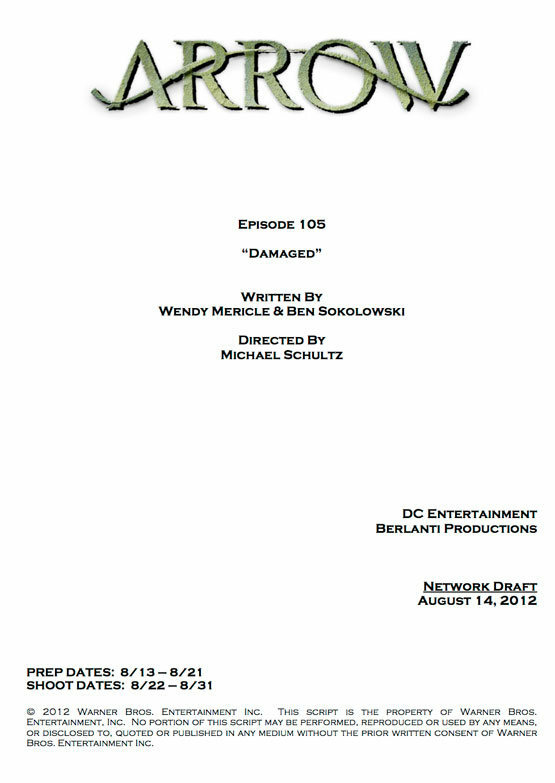 And if you want to try to speculate about what the episode is going to be about, come by our Arrow spoilers forum! Craig Byrne has been writing about TV on the internet since 1995. He is also the author of several published books, including Smallville: The Visual Guide and the show's Official Companions for Seasons 4-7. Did Katie Cassidy Leave Arrow Tonight? Arrow “Lost Canary” Preview Clip: Sara Lance is Back! Arrow #7.20 Description: “Confessions” – Arsenal Returns! UPDATED: Smallville’s Tom Welling To Appear In Arrow Season 8?